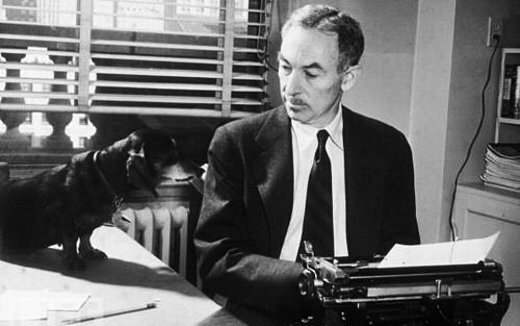 In September of 1952, a few weeks before the publication of Charlotte's Web—the now-classic tale of a pig, Wilbur, who becomes friends with a heroic spider named Charlotte—its author, E. B. White, was asked to explain why he wrote the book by his editor at Harper & Row, Ursula Nordstrom. On the 29th of that month, White responded with the following typewritten letter and explanation, both of which have been kindly supplied to Letters of Note by HarperCollins. Thanks for your dandy letter and for the book. If I ever get time I'm going to read the book. I think it looks very nice and I agree with you that the endpaper is too bright. But on the other hand, I'm not sure that anybody thinks about endpaper except publishers, and probably not more than 1800 people in the United States have ever heard the word "endpaper", and they are all Stevenson people. 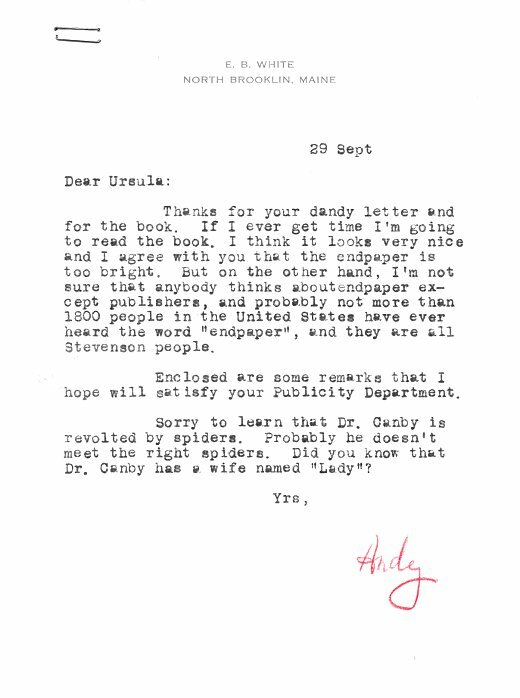 Sorry to learn that Dr. Canby is revolted by spiders. Probably doesn't meet the right spiders. Did you know that Dr. Canby has a wife named "Lady"? As for Charlotte herself, I had never paid much attention to spiders until a few years ago. Once you begin watching spiders, you haven't time for much else---the world is really loaded with them. I do not find them repulsive or revolting, any more than I find anything in nature repulsive or revolting, and I think it is too bad that children are often corrupted by their elders in this hate campaign. Spiders are skilful, amusing and useful. and only in rare instances has anybody ever come to grief because of a spider. At the present time, three of Charlotte's granddaughters are trapping at the foot of the stairs in my barn cellar, where the morning light, coming through the east window, illuminates their embroidery and makes it seem even more wonderful than it is. I haven't told why I wrote the book, but I haven't told you why I sneeze, either. A book is a sneeze.